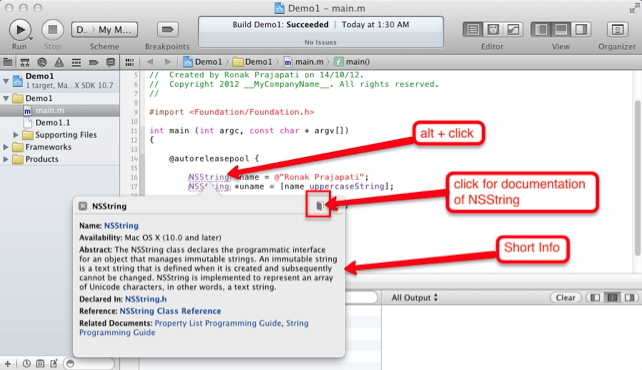 The Foundation framework contains lots of predefined objective-c classes that we can use like NSString, NSDate etc. Let’s create a program that uses built-in objective-c classes. Step 1. 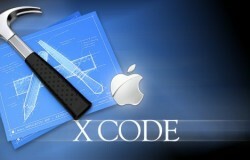 Create new Project in Xcode with command line tool template and write code in main method. 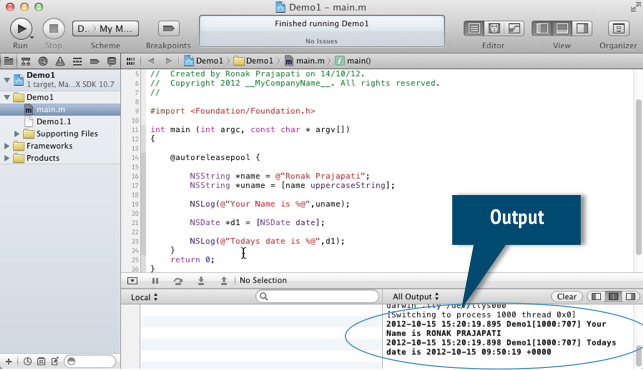 First we created NSString class’s object called name and set String value to “Ronak Prajapati”. Then we called name object’s instance method uppercaseString, which return string in upper case letters and store in new object called uname. You can see the whole documentation of any class and for that you don’t have to search it on google or apple documentation website. It’s very easy. Just alt+click on class name in code. Step 2. Now lets output the new uname object using NSLog. NSDate has a class method called date, which returns current system date. We store that returned date in object d1 and then output using NSLog. Let’s quickly hit run and see how it outputs. Note: There are lots of built-in objective-c classes in foundation framework, which we can use in any Objective-C program. 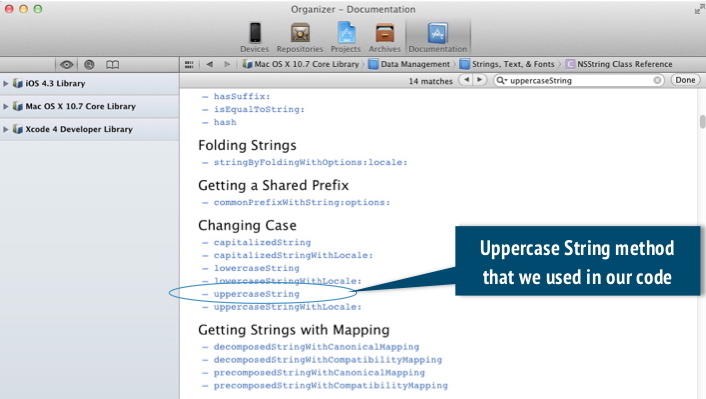 Full documentation is available for us and it’s easy to access by alt+clicking on class name. You don’t have to learn every class and memorize it. It’s very hard, it takes lots of time and it’s not convenient way to developing iPhone application. Just make sure that whenever you need help regarding any class it’s there for you.